So i update the game to 112 today and now the workers are horrible. I started a new game on Montana. Using the Linder Geotrac to plow, cultivate and seed, the worker will make 1 run and when he tries to turn around, he just keeps backing up little by little. I had him work on field 39 going west to east. He made 1 run and then kept backing up until he ran into the greenhouse. The game also stutters now too which it didnt do before. Im not a happy farmer right now. Bro, Im on PS4 and i have made a topic on the same thing you are having problems with....Workers using plows(especially large plow). So far my workers are only having problems with the "large plow", its horrible. But with the small and medium plows they do pretty good. Im so concerned about them being able to fix this. This game has major issues at the launch of game and that isn't a good sign. The fact they have left out key features of a "farm sim" type game worries me too. I still have hope they will fix it but reading your post about workers after the patch worries me. All of us farmers are praying for you and this game...Good Luck! Its not just the plow but any kind of work done by hired help. Im really disappointed now after having high hopes for the game. I wanted to see someone give FS a run for their money. My workers are all retarded. I don't hire them any more. I just plow myself with time x15 so I have a nice green energy income to buy fields. And sell a lot of cherries in Japan that's also a money maker. I can deal with hired help being rubbish if the game just stops crashing all the time. I do like to use workers sometimes but the game is called Pure Farming so I don’t mind doing my own fieldwork. It took Giants a really long time to get their AI sorted (it was abysmal even in FS15) and people still complain about it now. The AI in Pure Farming is not very I. If I compare the AI in FS15 & FS17 the AI is the same. I think the problem is not the AI in Pure Farming but the equipment even if you do it yourself the handeling is not very user of farmer friendly. The problems you have with the equipment for example make the turn just to short are the same problems the AI struggles with. In FS the equipment is farmer friendlier. The crashing is getting frustrated, but only in Montana. Yesterday I went to Japan and no problems. The longest play through since I have the game. I think I go to Italy today and see if I can keep the no crashing streak going. Im on pc and i havent had a crash yet.....only when i hire someone. Its sad to report but the unemployment rate in montana just went up. If I compare the AI in FS15 & FS17 the AI is the same. 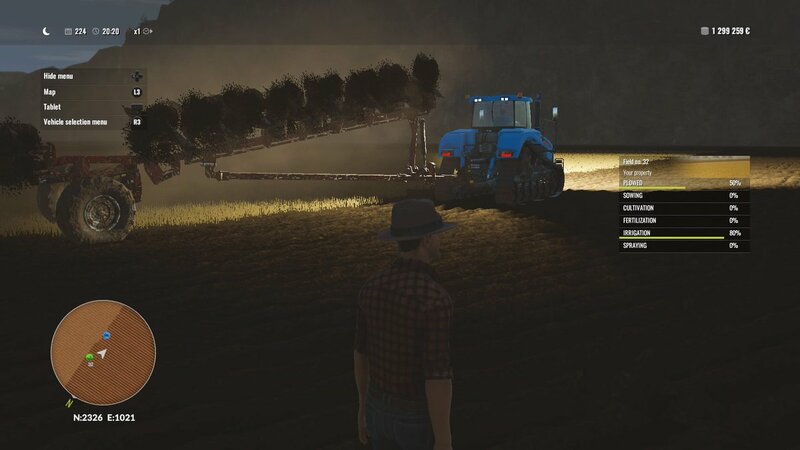 For me there was a huge difference between the 2 editions - in FS15 the AI couldn’t work with any equipment bigger than 6m, the turns would make them miss areas at both ends of the field. And they had other problems, like dealing with obstacles. FS17 made vast improvements especially in the way they would make their turns and work around foreign objects but some stuff the AI does is still baffling even now. Its sad to report but the unemployment rate in montana just went up. Weird, I didn't had that experience. Or it's just to long ago to remember. You must have blocked it from your memory, they were really bad especially with the 9m seeders and cultivators. Bro, the reason we use workers is so you can keep multiple fields(many acres) operating all the time, and free you up to maintain your cattle or greenhouses,etc. I know why you use workers, just saying they probably aren’t the number one priority for the developers when they create a game that simulates doing farming activity rather than just focusing on farm management. But doesn't a good manager hire people to management a farm beter? If you are a farmer with one or two fields you can manage all by yourself. But once you want to expand you need help and good management knows when to hire extra workers to get the job done. So if they want to create a true farming experience the developers should have think about that a bit longer. Then again, they have for PC only for console they forgot something in the code to fix it. Hopefully we get that patch soon, because I'm starting to get bored with the crashes. Patience, won’t be long now. I thought you weren’t farming Montana anymore until the patch comes? IKR, im currently patching holes in my wall. I have a hole for every other crash. Just was is on those blades? And I've read somewhere that AI has a hard time with caterpillar tractors. And is there any way to make cherries price +% increase or even other crops? AI is always hard. I don't even think we can speak of ai. It's just zombies driving and walking around. Prices are always the same. Doesn't even make any difference where you sell them. Teleport to a field and where you end up seems to be where workers want to start from either that from the same side or the closest corner! Even if you start in this corner they might go over and back to the same corner and start over again if not lined up correctly!